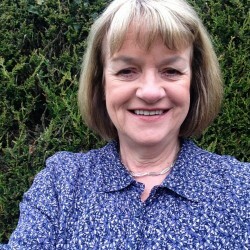 Team Kenya was officially founded in 2008 by Valerie Wilson, a geography teacher and senior manager working in a secondary school in Newcastle Upon Tyne, UK. Before establishing Team Kenya, Valerie had been working with the Ndhiwa community since 1999, focusing on school partnerships and curriculum exchange. 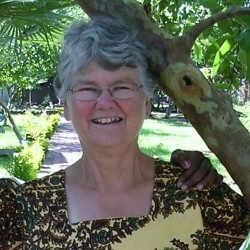 In 2008 Valerie left her job in teaching to dedicate her time to Team Kenya and is now the Chair of Trustees. Her daughter, Victoria, has also been heavily involved with the charity since it was founded. Since 2008, Team Kenya have built a strong relationship with the community in Ndhiwa, and the Ndhiwa Community Empowerment and Development Project (NCEDP). Team Kenya work in partnership with NCEDP and together we have transformed the lives of over 60,000 people in Ndhiwa, including 20,000 young girls. Valerie is the Founder of Team Kenya and also our Chair of Trustees. 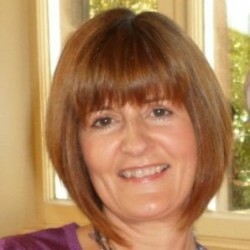 As well as her role as Chair, Val is also our Partnership Manager. Val has over 30 years’ experience in the education sector, including work as a Head of Sixth Form, lecturer in Geography and DFID Kenya Curriculum Project Coordinator. She has previously been a Trustee at One World Network North- East and spent eight years as a volunteer and Trustee at the Kenya Acorn Project. Brad is our Project, Fundraising and Marketing Manager. Brad has previously worked at COCO, where he oversaw the implementation of projects in Kenya, Tanzania and Uganda. 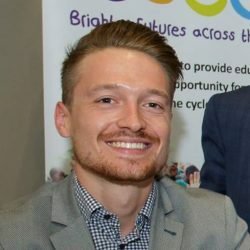 Brad also has a lot of experience organising and taking part in fundraising events, he has climbed Mount Kilimanjaro and Mount Toubkal, cycled Kenyan Maasailand and run the Great North Run. His first challenge for Team Kenya is to climb Mount Kenya! 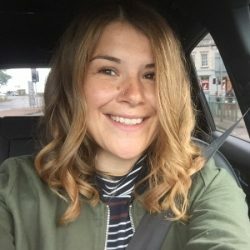 Danielle joined us in March 2019 as Fundraising Officer, having worked previously as a teacher at Longbenton High school for almost 10 years, it was here she started fundraising for Team Kenya. Danielle first visited Ndhiwa in 2013 as part of the British Council’s ‘Connecting Classrooms’ scheme and lead a school trip the following year taking 13 students. Danielle has taken part in many challenges over the years to raise money for Team Kenya including the Great North Run, Total Warrior and most recently completed the National 3 Peaks sub 24 hour Challenge. Claire works part-time for Team Kenya as Volunteer Coordinator and Finance Assistant. She is also involved in the planning of our Community Conversations programme in Ndhiwa. Before joining us she worked for 30 years teaching in secondary schools, including 3 years working with VSO in the Gulf Province of Papua New Guinea. Jacky is a Team Kenya Trustee. She also supports our Water Works For Girls project and helps with grant applications. 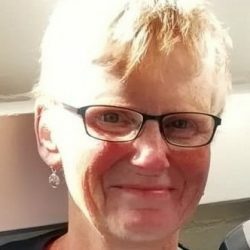 Jacky has over 30 years’ experience in education, starting her career as a teacher in East Africa and finishing as Deputy Head in a Northumberland High School. She volunteered at our projects in Ndhiwa for 6 weeks in 2013. Julie joined the board of trustees in 2017 and has also volunteered on our Raising Achevement project. 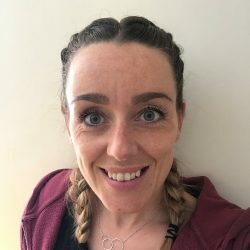 She started her own business in 2017, supporting organisations to enhance gender and LGBT equality and she is also a professional development coach. Prior to this, she was an academic at Northumbria University, specialising in gender and sexuality in contemporary culture. 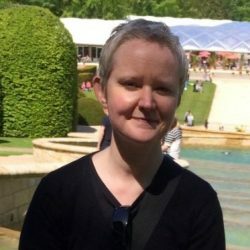 She was a trustee at West End Women and Girls Centre, Newcastle, from 2016-2018. Terry is our Treasurer. He is a qualified accountant and worked in industry, in particular manufacturing and engineering, over 40 years for various companies, most recently as Finance Director of an engineering business where he was responsible for all finance and most commercial activities. Terry is now retired from full-time work but holds a non-executive directorship with a local design and manufacturing company and is a trustee of two charities in Newcastle and Darlington. Vic, is one of Team Kenya’s co-founders and took on the role of Development Manager, then Marketing and Projects Manager from 2015 until 2018, she is now on our board of trustees. She has 10 years’ experience working in the education and non-profit sectors and has recently completed her Masters in NGO Management. 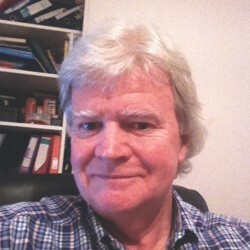 Vic is the UK Director of Vision Africa, another small charity working in Kenya. Philippa has been on the Board since 2017. She has over a decade of marketing and campaign management experience in the not for profit and public sector and a MA in Conflict, Security and Development from King’s College London. 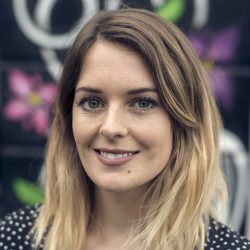 She currently works as the Marketing Manager for the Mayor of London and has previously worked as a campaigner in the international development field. 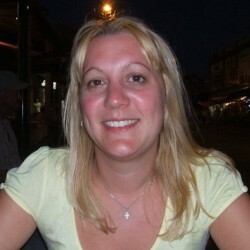 Alicia is a Trustee based in Perth, Australia. She has 10 years’ experience in the finance and insurance industry, Alicia’s current role is as the Education Coordinator and Hospital School Liaison for Ronald McDonald House Charities. Alicia volunteered in Ndhiwa in 2009 for one month and in 2011 for 2 weeks. Kath is the secretary for our board of trustees. She has also assisted with a variety of voluntary roles, including coordinating our Aspire Scholarships programme.